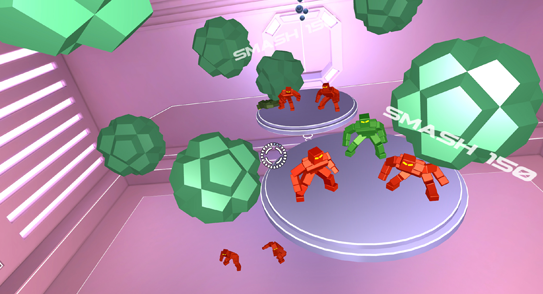 Welcome to the unique mobile VR experience, “Viral”. Even an advanced computer system such as E.V.E. (Emotional Virtual Engine) has to deal with the threat of infection. Step up : Ragnorok, the anti-virus. This is the world as you see it, created specifically to make you the most deadly virus-stomping program ever written … so get busy and have fun. 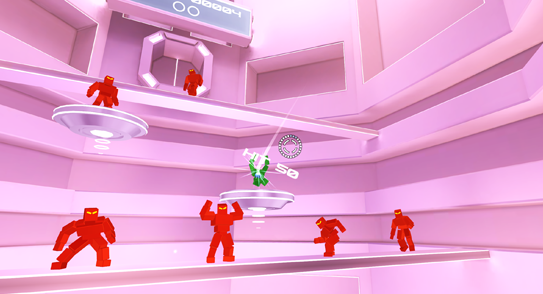 Using simple and intuitive controls with physics-based gameplay, travel through ever more complex and challenging manifestations of the mainframe to wipe out the mischievous virus strains. 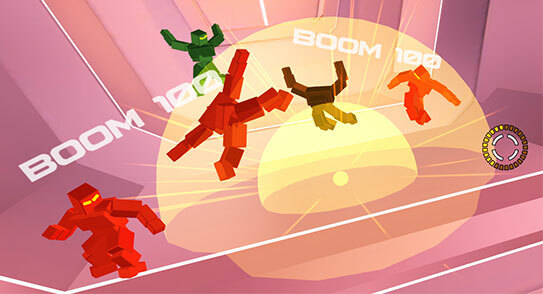 Unleash storms of powerups, or look for that perfect, surgical killer shot. Switch on E.V.E’s dormant systems, she can fight back too. Its a world of fun, so use everything at your disposal to run riot! Viral is going to be a new experience for many people that try it, but it’s also pretty old school at heart, with a simple gameplay hook. You look around the scene, find an enemy that’s giving you a funny look, and fire a shot to take it out. On Gear VR the whole game is played with one single button. It’s accessible, but requires real skill to play it well. 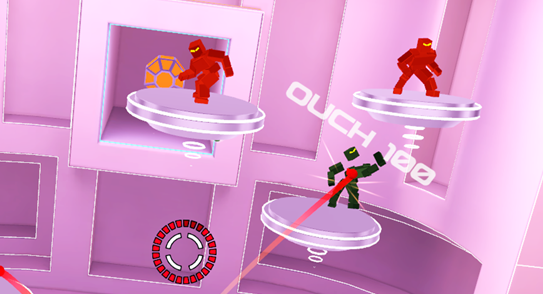 Viral is all about high scores, bettering your own score as well as those of your friends. You need to think about your actions, build up score modifiers with trick shots, get quick-kill combos, use power ups and so on. But be mindful of your ammunition and don’t get caught by incoming enemy shots. "Viral is the best $5 you can spend in virtual reality right now"
"If you really want to see what virtual reality games are capable of, this is one you need to download." 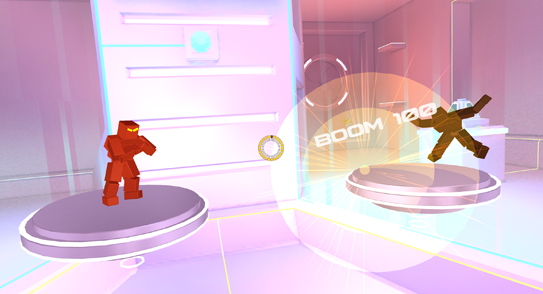 "The best Gear VR games and apps in the Oculus Store." "I had a great time playing past the third boss fight for this critique." 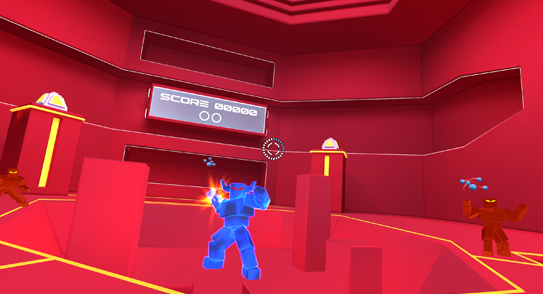 Use the hit markers left behind by your own shots to align subsequent shots. Only collect more ammunition when you need to. Get the Ghosts to trigger score mulitpliers. Don't forget to charge your shots for more accuracy and power, but watch your ammo. Rebound shots off of surfaces to get bigger scores. Viral was built by the small core team here at Fierce Kaiju, with a little help from our great friends at Mars on a Stick and Furious Bee. When building Viral back in 2014 VR was crying out for real game experiences when few existed. Historically our team members had worked on some of the biggest games on the planet often with pioneering work on new platforms, so we felt confident that we could build something fun in VR even though everyone was essentially starting afresh. It was a challenge but it was also great fun and we hope that people enjoy the results of our first innings at bat with Viral on Gear VR. It’s only the beginning for us and we can’t wait to bring you guys more great VR content. Thanks for reading, from all of us at Fierce Kaiju.